20th and 21st February 2019 – Partita II for Unattended Glass Harp – sound installation will be exhibited as part of the Huddersfield University Electric Spring Festival, from 17.30 to 19.30 on both days. 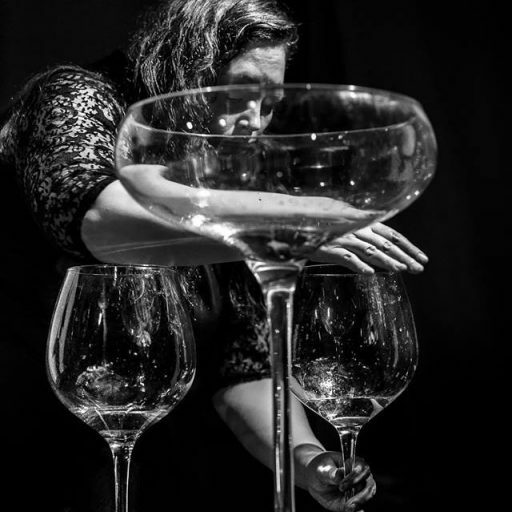 19th May, 2018 – Partita for Unattended Glass Harp – sound installation as part of re.sound huddersfield, Creative Arts Building, University of Huddersfield, with work from Jorge Boehringer, Sam Gilles and David Velez . 25th January, 2018 – supporting Roger Eno at Cafe OTO. 2nd December, 2017 – Laura Cannell’s Modern Ritual (Daylight Music 266) at the Union Chapel, London. Laura Cannell and André Bosman; Charles Hayward’s The Bell Agency and Jennifer Lucy Allan’s Foulis’s Daughter. 14th November, 2017 – AME at The Making Space, in Huddersfield: with Anna-F Jacques and Ryoko Akama and Kneeling Coats (Eleanor Cully and Jorge Boehringer). 26th July 2014 – Tor Festival, Todmorden.